What a difference a week makes! Last week, I was planning to make this recipe and serve it for dinner with salad. Well, things have changed. Our household has turned into a heart-healthy, diabetic diet zone. Can you believe it? Gary's back from having a cardiac tune-up, and I'm joining him in solidarity. Never fear, I'm not closing my pastry business or considering dropping out of BWj. We'll just need to find good homes for many of the delights. As I've been perusing a whole new world of cookbooks and recipes, I've decided to blog about the adventure. 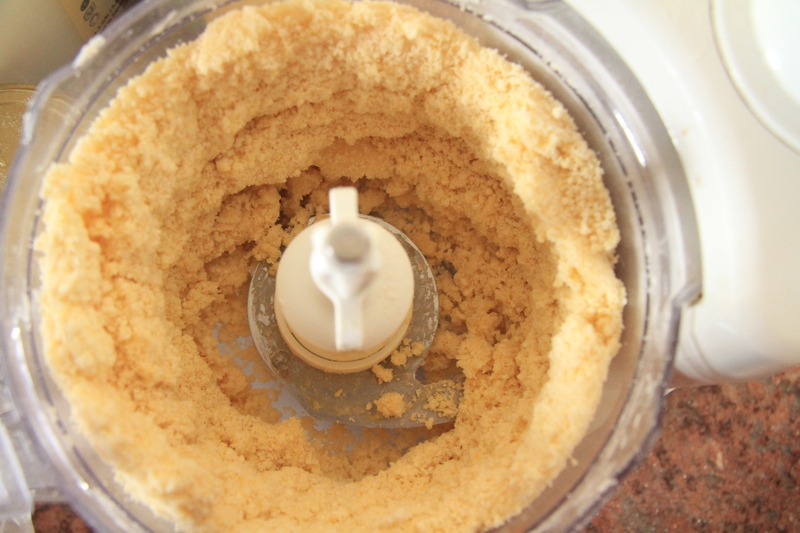 So, my 2nd blog is Cooking for our Health. I'll review tips, tricks and recipes for low fat, low carbohydrate meals. Please check it out, and join in with your ideas. When I read through the Pizza Rustica recipe, I thought it sounded a little cheese heavy, and maybe not so good. Yes, even a Wisconsin girl can have too much cheese. I was also wondered about the absence of sliced or some sort of tomato sauce. My worries were unnecessary. The pizza tart/pie was delicious and really pretty. The crust was easy to manage and the filling easy to put together. I made a call to our neighbor with three children. It seemed like a sure thing that the pizza would be a hit. The results came in, and the boys loved it! They added salsa for extra zip, which sounds pretty good. 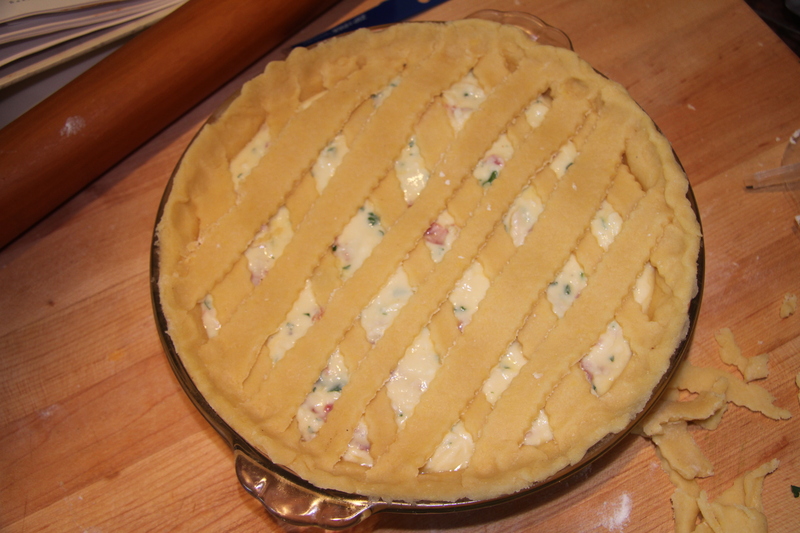 One of my favorite parts of this recipe was cutting the strips for the lattice. I have this little tool from Paris that I've had for about 12 years, and never remember to use it. It's a pastry cutter. 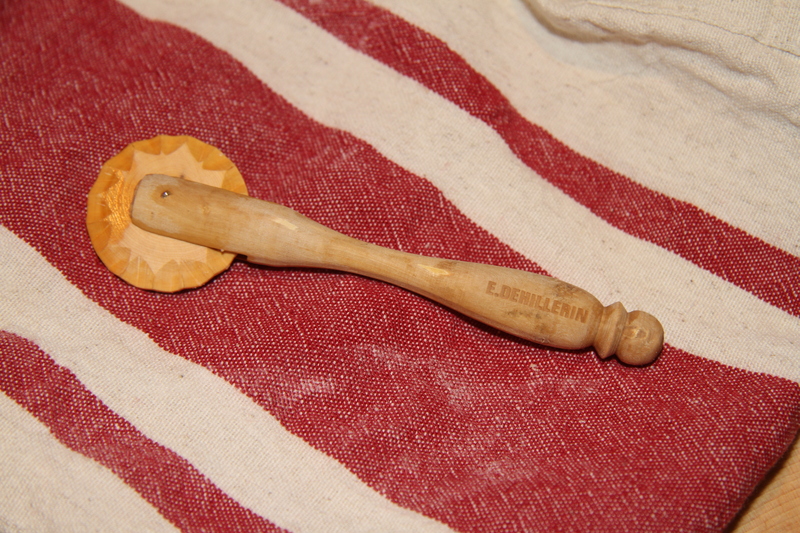 I believe it made by hand by the same man who makes the rolling pins for E. Dehillerin, the famous cooking equipment shop. I've included a photo later in my post. The dough rolled out to just the right size. 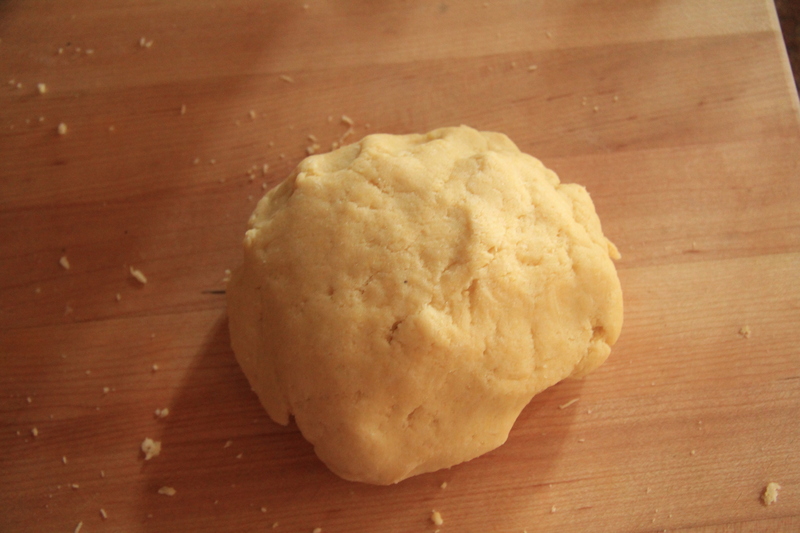 Here's the dough and the boxwood rolling-pin I mentioned. The lattice wasn't browning as much as I liked, so I tented foil around the browned edges and let it bake a little longer. It never browned as much as I would have liked, but all the components seemed to be fully baked. Well, Wordpress and I are having trouble working together. My last photos don't want to upload a just into the post. 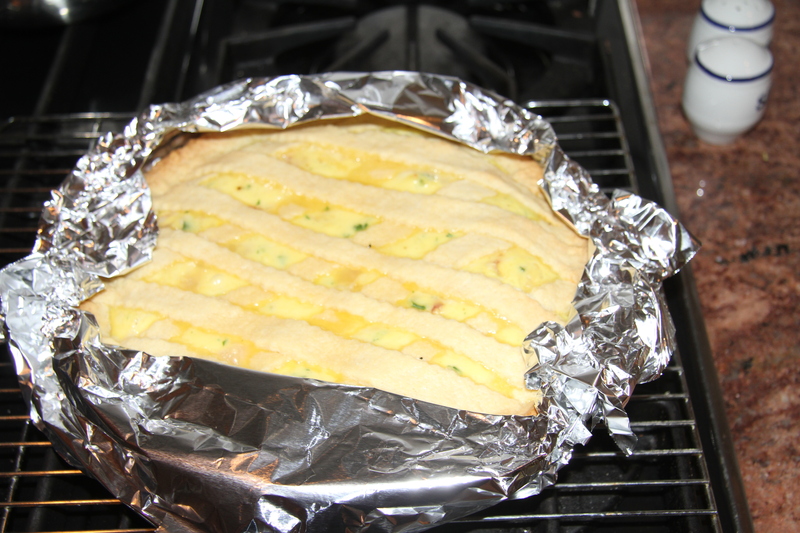 I'll keep trying, and hopefully you'll get to see the finished Pizza Rustica! The next recipe is Lemon Loaf - Very Springy!